series focuses on two individuals who have made significant contributions to their community’s information on Google Maps. Note: this interview has been edited for clarity and brevity. — Ed. Lori: First things first—how’d you get started with Map Maker? Jacek: As a teenager I was called the "Geograf" or the Geographer because I loved maps. I brought them with me everywhere I went. As a child I loved to open maps and check how right they were, translating what I knew about the world to country lines, dots, shapes, icons. So when I found Map Maker, it was the perfect tool for me to share my knowledge and experience with others. Tomasz: I’m a teacher and one day I started to search for my school because I was interested to see if people using Google Maps could find it. I discovered that the address was incorrect, so I started to search the Internet for how to correct Google Maps. And that’s how I found Map Maker. I started correcting things—beginning with the place that I work and then correcting the rest of my region. That’s when I met Jacek. Lori: You’ve both worked with a community of mappers who do an amazing job helping one another. Do you want to talk a little bit about the sort of team you self-organized and how you found each other? Tomasz: When I first started mapping, I thought I knew everything—I know my region, so I’m the one who knows what should be where, how it should be presented, etc. And then I met Jacek, who showed me what I was doing wrong (I wasn't connecting the roads I added!) and taught me how to map. It’s very important that we lived in the same region because he was already a regional expert reviewer and could review my edits. Jacek was also the one who welcomed me to the Polish Map Maker group. Jacek: Now Tomasz makes more additions and edits than me! Right now, our group of trusted mappers always has a hangout open so we can chat. With every addition, we consult each other, review it and discuss it in our language whether it’s a good addition or if something needs to be changed. But we also talk about other things! Lori: Between all this collaborative team mapping and the events you’ve attended, how do you feel Map Maker has impacted your region and Poland overall? Jacek: It’s had a huge impact. In my city, there’s a big national road which was rebuilt in the last two years. I made changes on the roundabout and bridge over the old road, and my changes were connected with the road’s official opening. My changes were on the map and in navigation within 24 hours. It was fascinating to me that my edits were able to change the lives of citizens of my city, of my region—that they’re able to navigate on good maps that are connected to reality, instead of old ones that are out of date. Lori: And last but not least, why do you map? Jacek: Sometimes I don’t map at all. Sometimes I maps for hours. Sometimes the whole day. I’m happy when I have a whole day to map - woah! 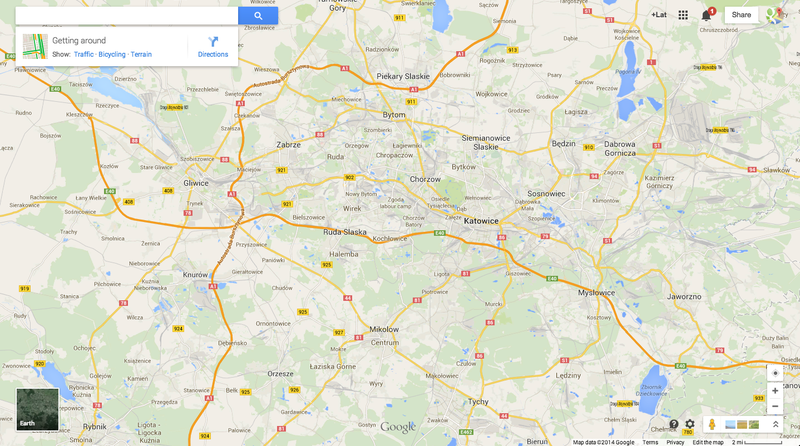 The most important thing for me is that the map and Google forum is fun. Tomasz: For me, mapping is a way for me to take a break from the normal things I do, and I can map or review or teach someone else how to map—it gives me a way to help other people in my region. Map Maker empowers anyone to contribute their knowledge to Google Maps, making the map even more comprehensive. In our final post, we’ll show you how it fits in with the rest of our authoritative sources, Street View, indoor maps, Ground Truth and more. Our third post in the Making of Maps series focuses on two individuals who have made significant contributions to their community’s information on Google Maps. Note: this interview has been edited for clarity and brevity. — Ed.